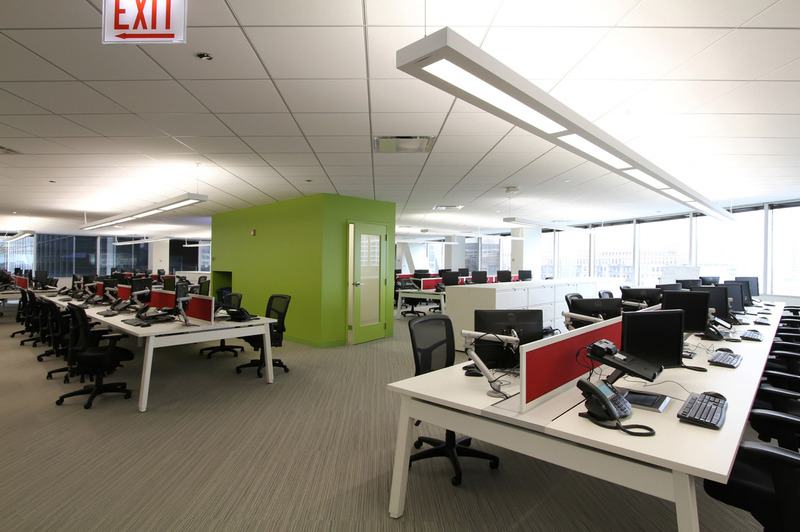 and give you multiple workspace options. 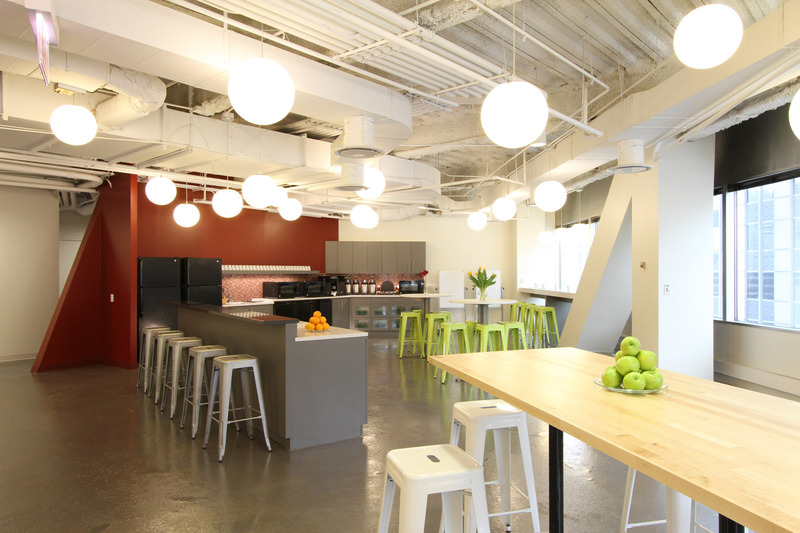 Our staff in London has grown so fast that we now have two offices in the St. Paul neighborhood. 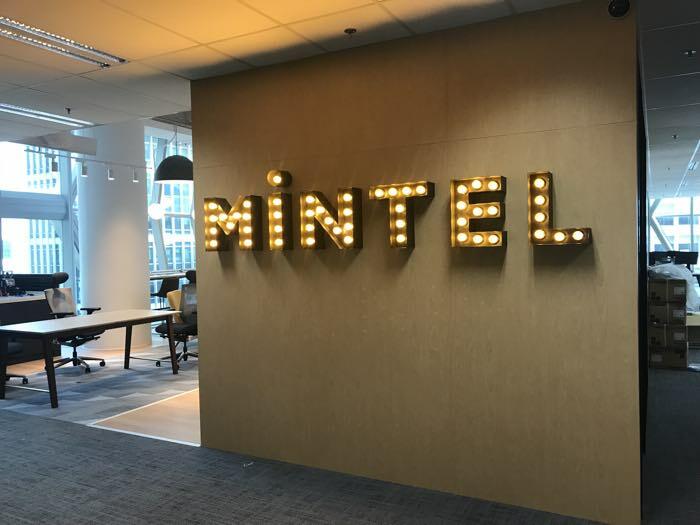 Our newest office, “Mintel House” opened in 2015. 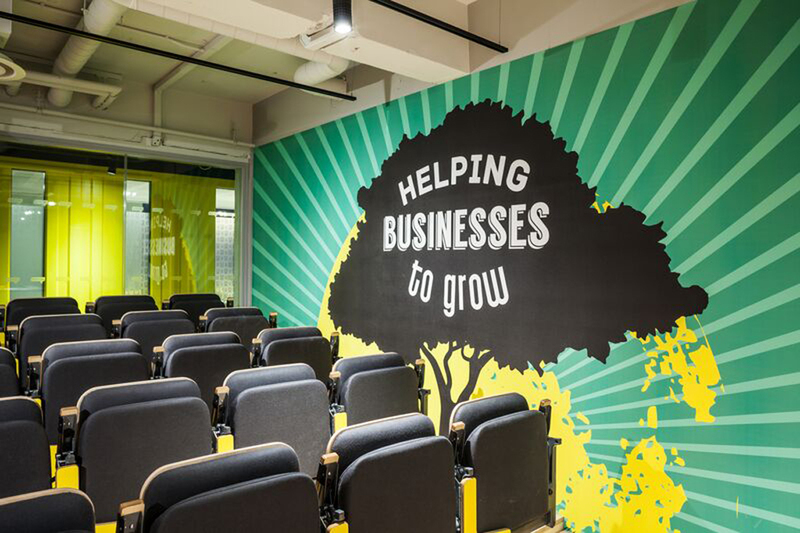 The 18,000 square foot head office features a Caribbean style food shack with sushi style drinks conveyor, shipping container meeting rooms, auditorium with sports floor and full size street art by portrait artist Ben Slow which inspires the names of each of the meeting rooms. 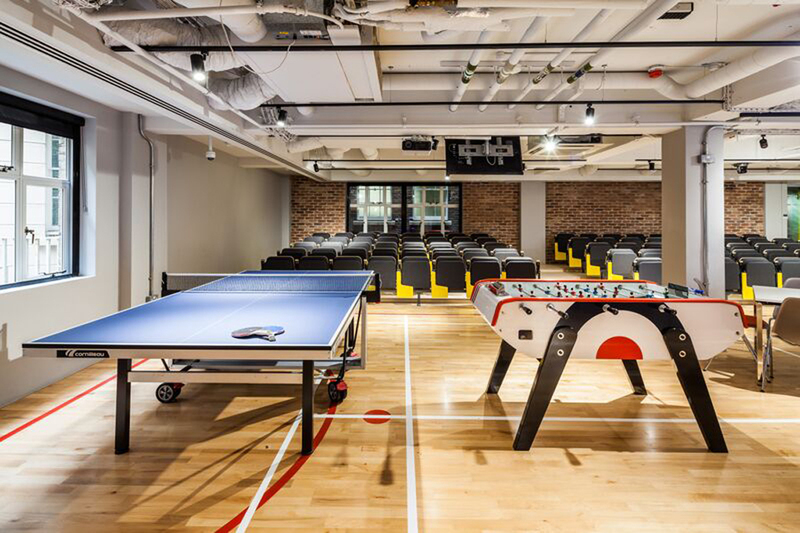 Stocked with 1980’s arcade games, pool, table tennis and table football tables, we encourage our staff to have fun while at work. 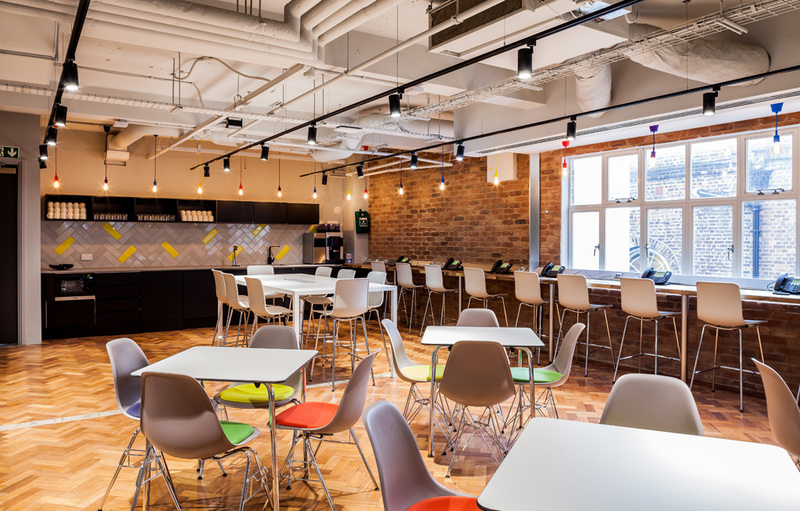 The upper floors of the building comprise an open plan office space, meeting rooms and a breakout area. 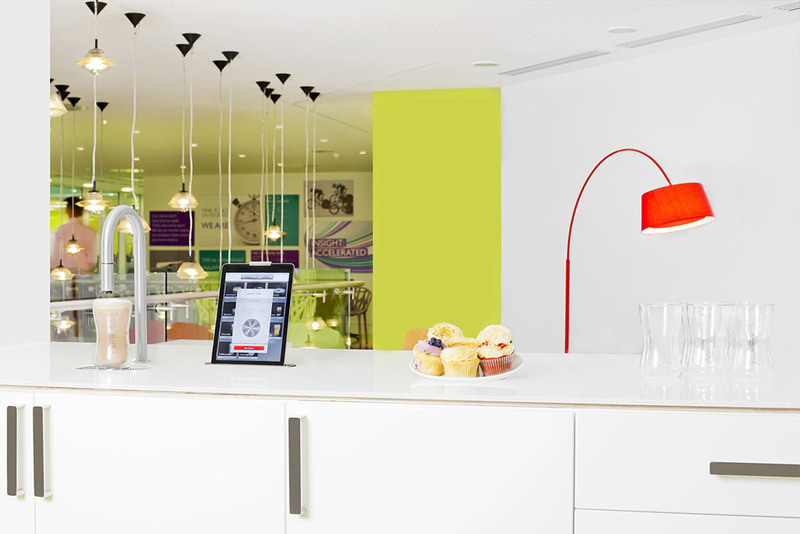 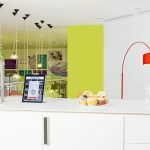 The quality of the upper floor staff facilities is enhanced by the installation of iPad coffee machines and iPad meeting room booking systems. 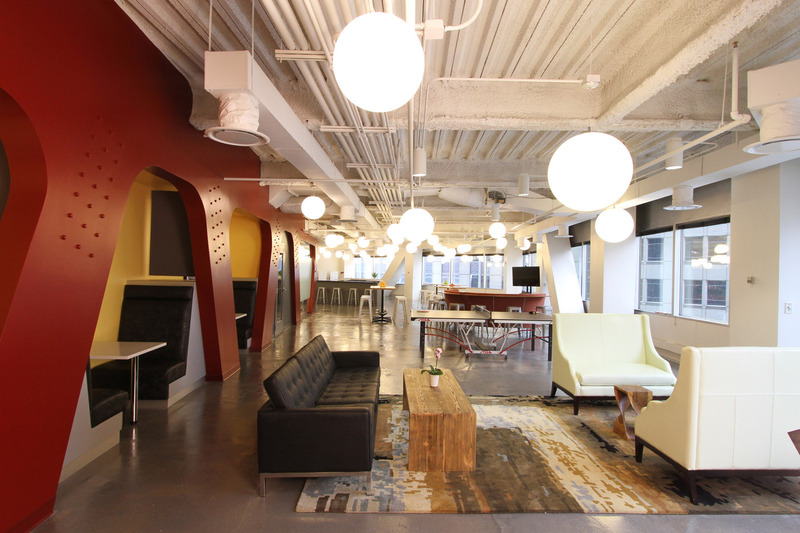 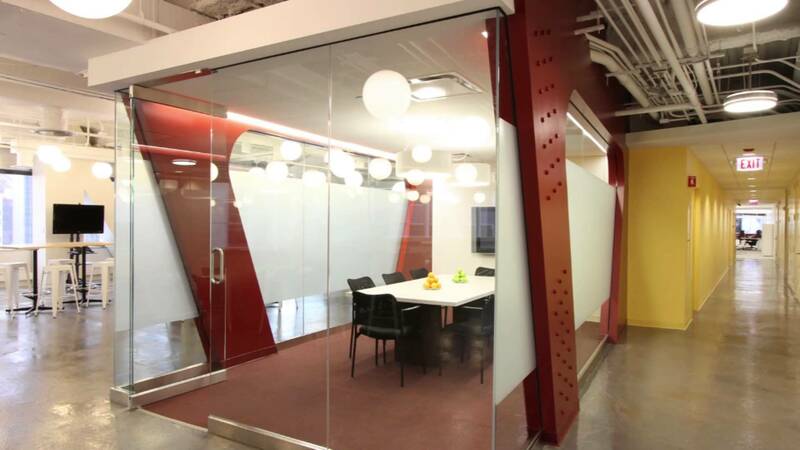 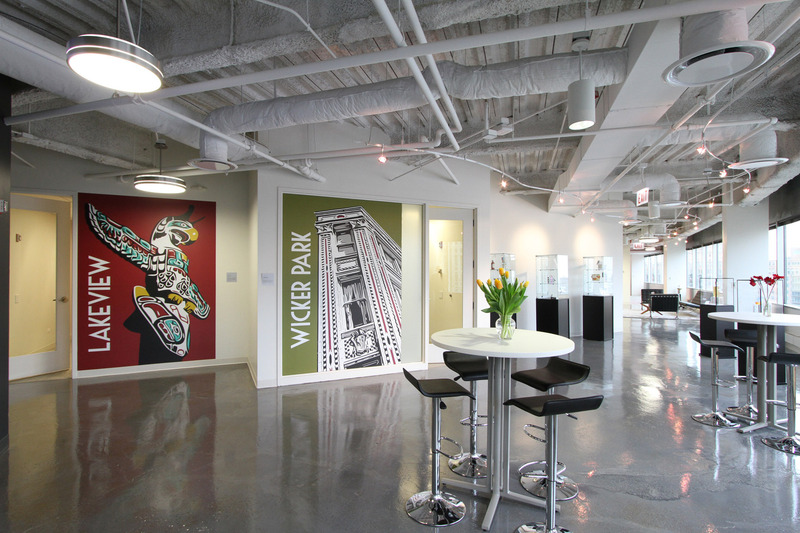 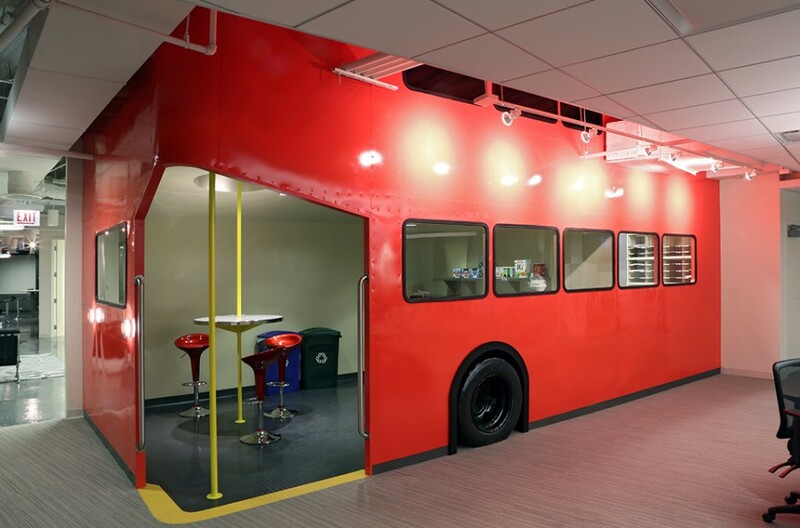 Mintel Chicago was selected by Crain’s Chicago as one of the city’s coolest offices for 2013. 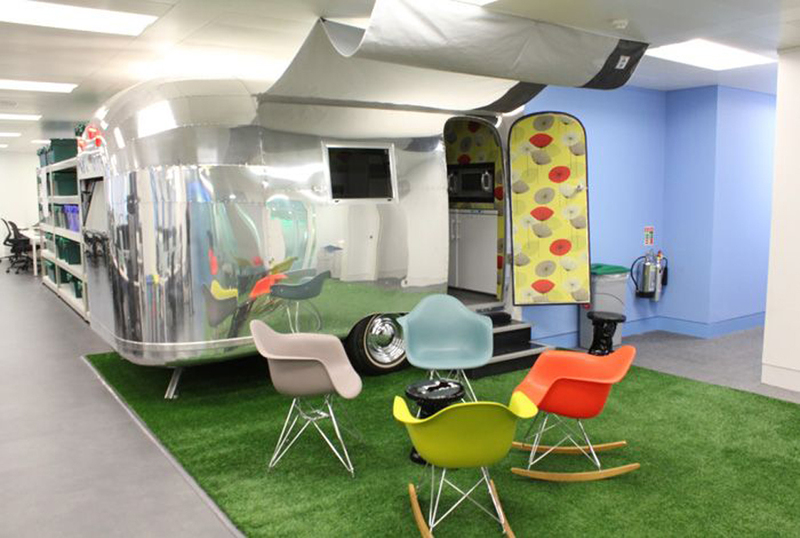 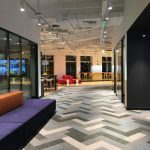 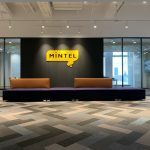 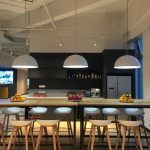 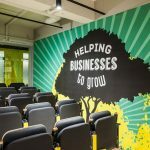 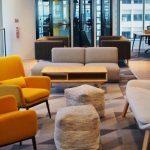 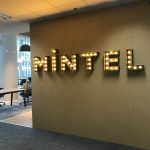 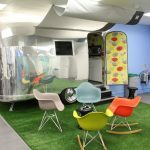 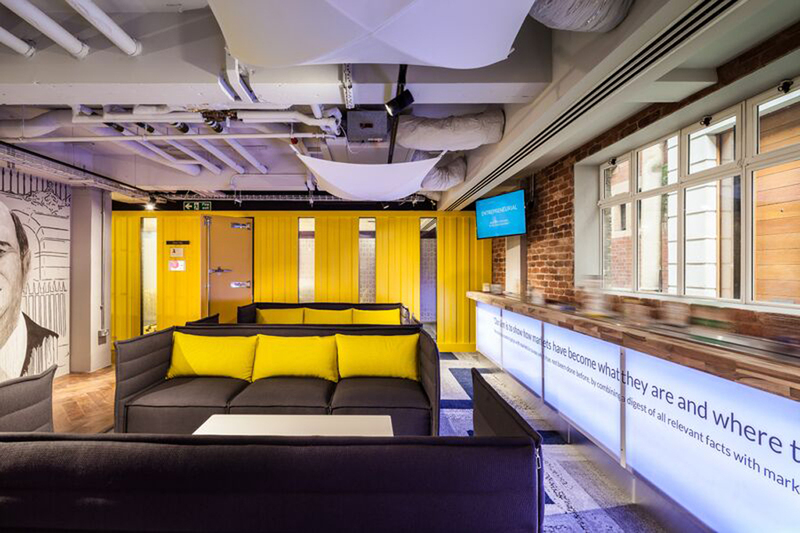 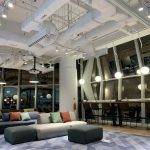 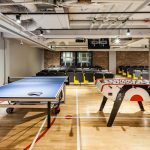 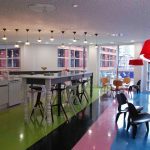 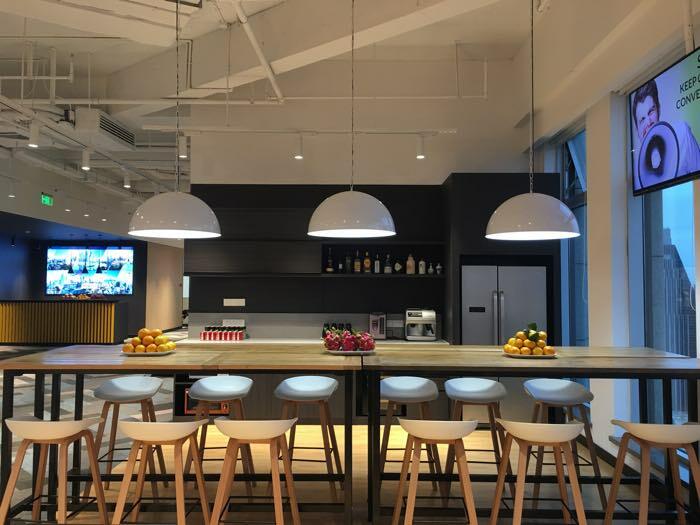 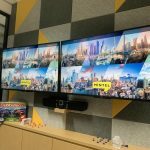 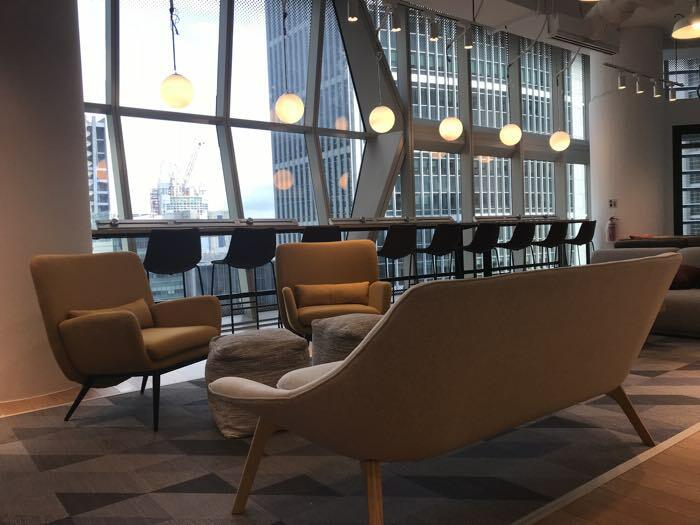 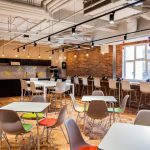 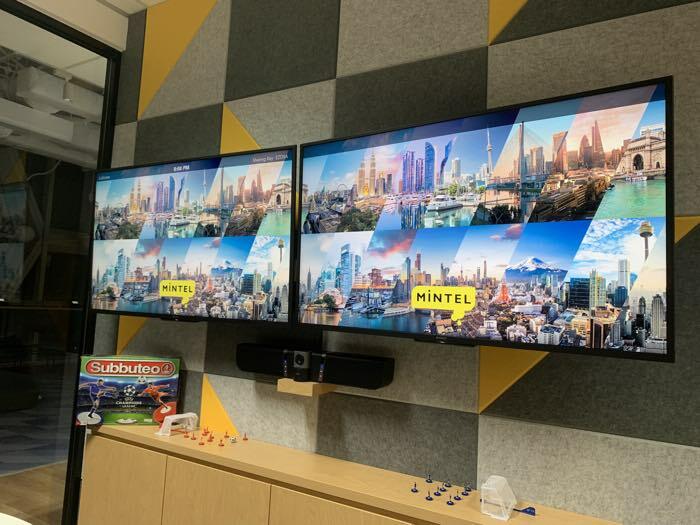 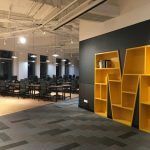 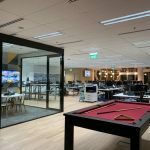 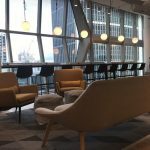 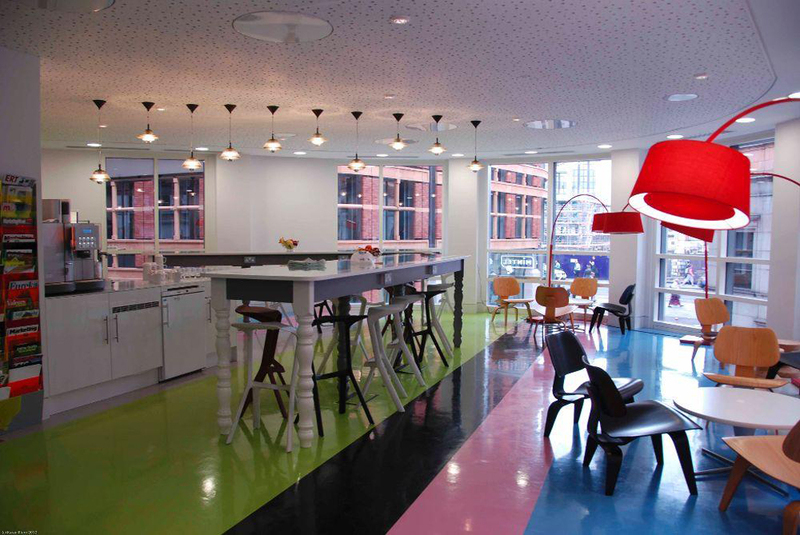 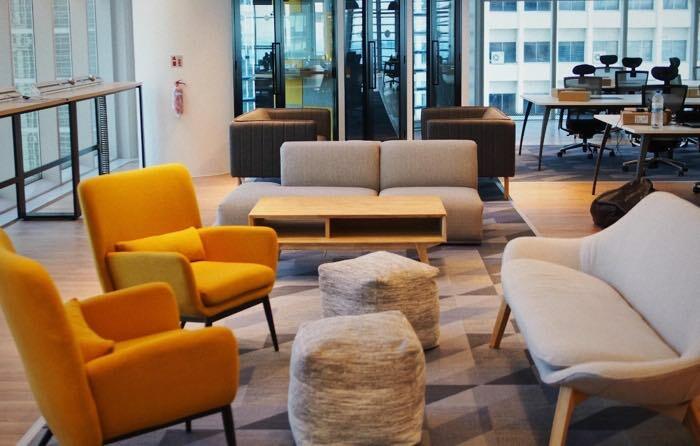 The space was designed to be a venue to showcase Mintel’s services, improve Client outreach and provide a varied, flexible work environment to enhance employee productivity as well as to reflect Mintel’s interactive, creative culture. 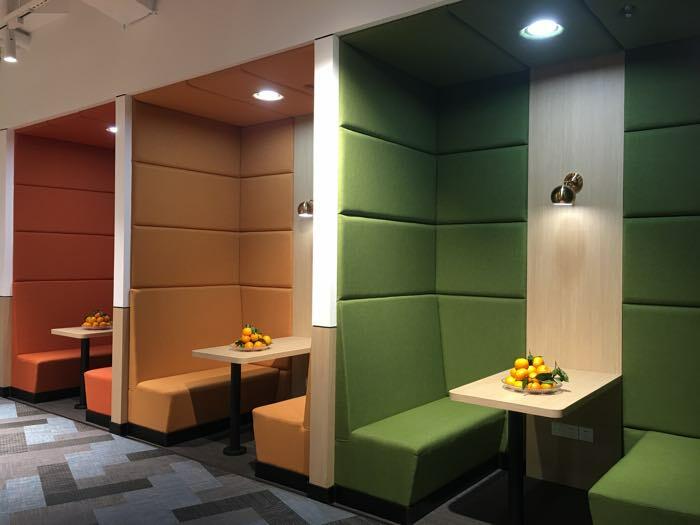 Formal work areas are in a concentrated zone, and a variety of informal work areas are in the remainder of the suite. 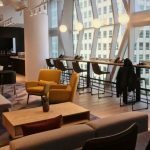 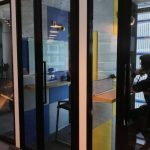 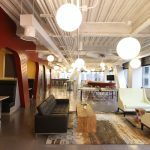 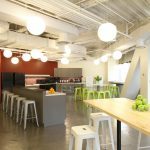 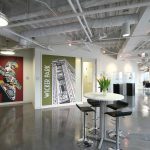 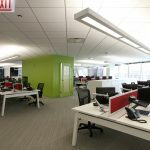 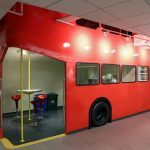 There are no private offices, and staff are not assigned a permanent work location so that employees may work in the environment best suited to the task at hand. 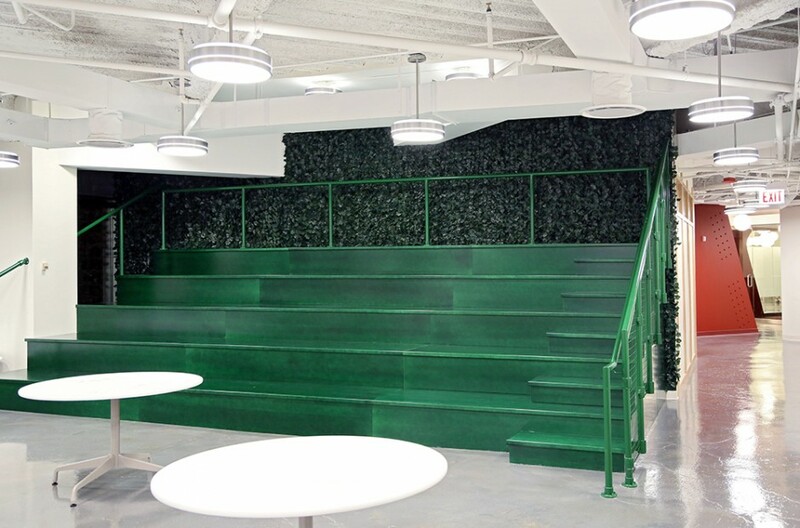 Each zone has a unique personality, and the design incorporates visual icons reflecting the company’s London headquarters (a red double decker bus), Chicago home (red iron bridge; neighborhood conference rooms; “Wrigley Field” bleachers, complete with Ivy!) 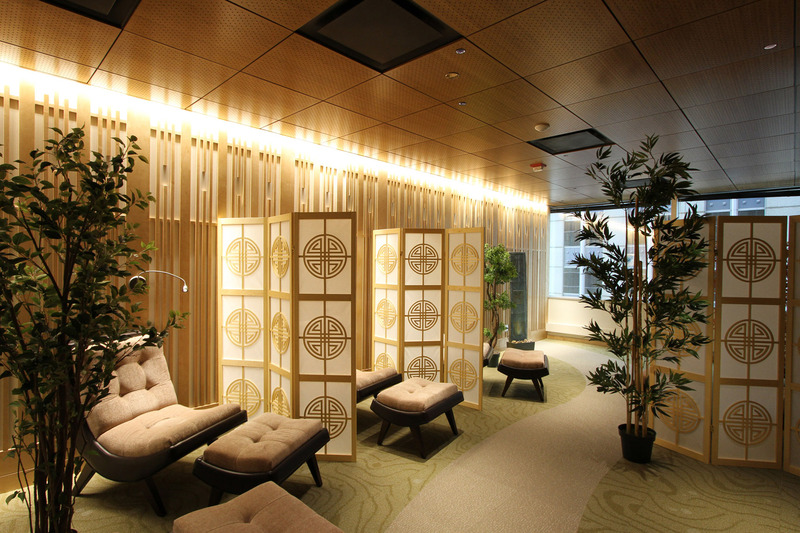 and international reach (Asian themed quiet room). 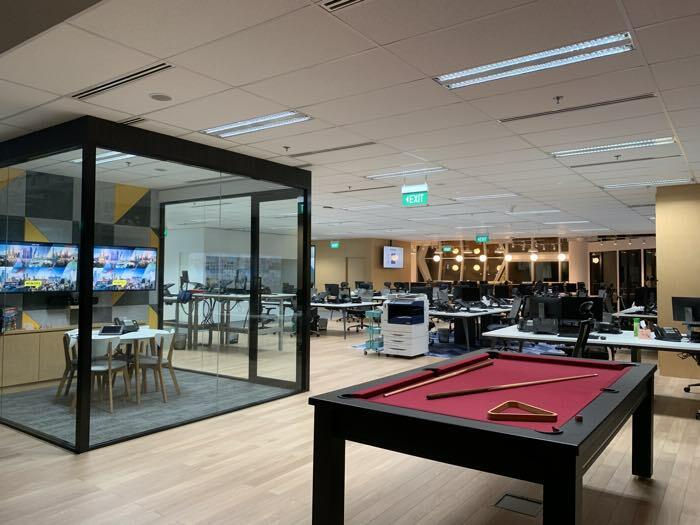 We have a presence in every corner of Asia Pacific with operational offices in Sydney, Shanghai, Singapore, Tokyo, Mumbai and Kuala Lumpur. 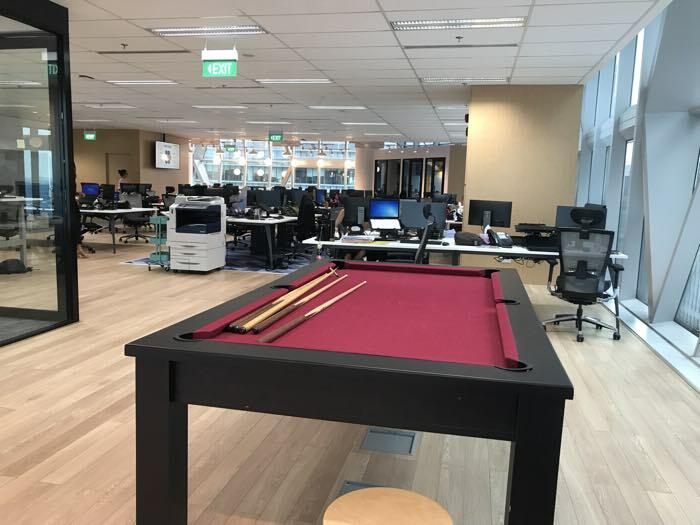 We have close to 125 individuals in Asia and are continuing to expand to meet our booming business growth. 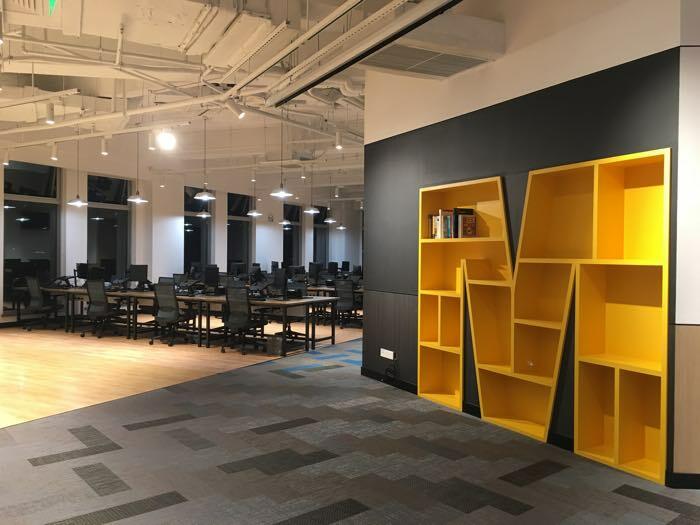 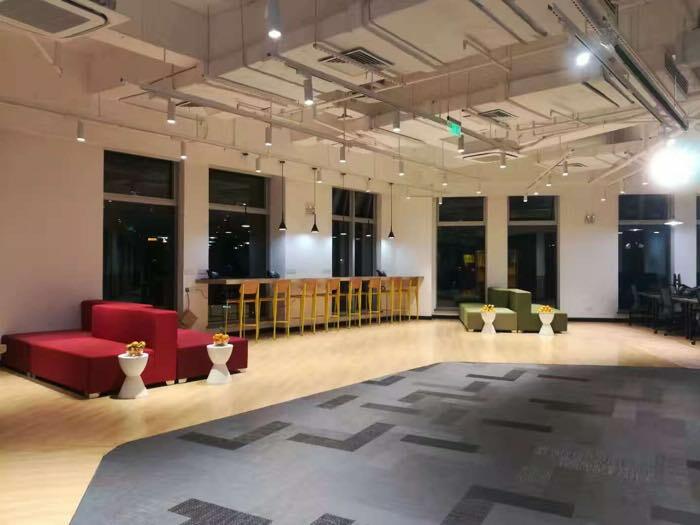 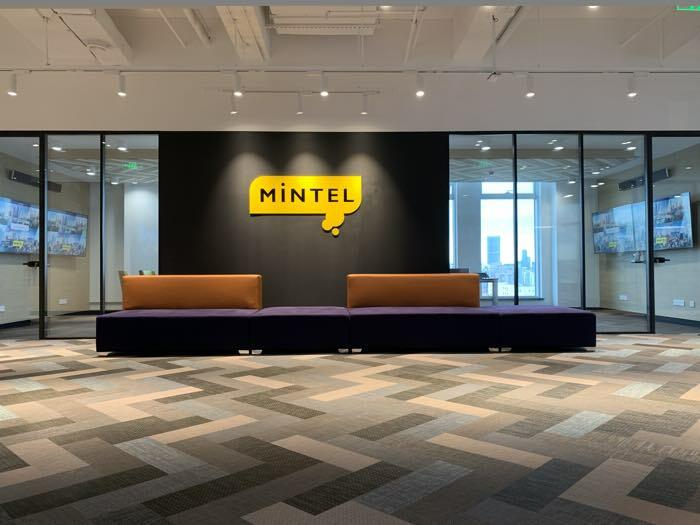 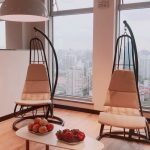 Mintel’s Shanghai office is located in Shanghai’s CBD area which is nearby to Xintiandi, the most prosperous commercial area in Shanghai. 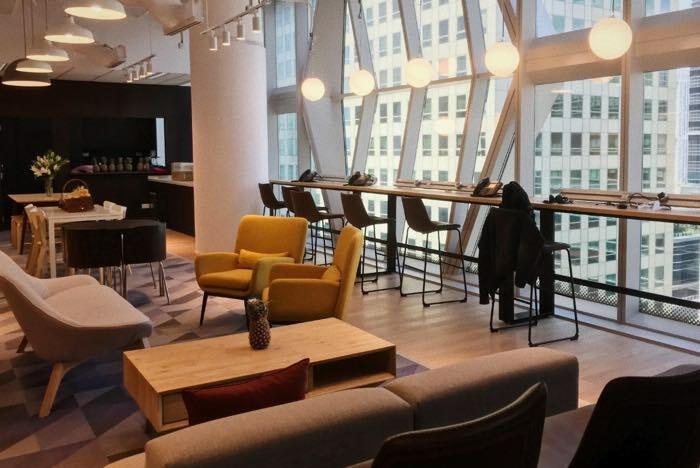 The office occupies the entire 25th floor with a private balcony. 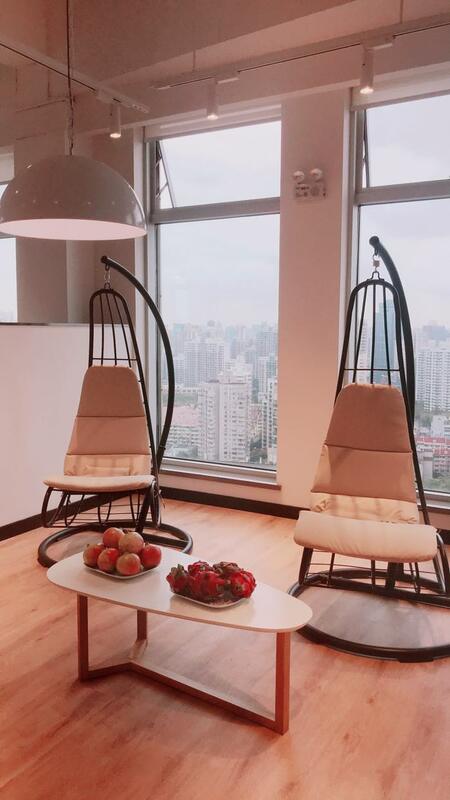 The view from the office is marvelous and you can see all the way to the famous buildings in the Pudong area. 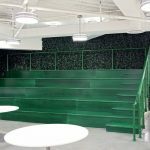 The balcony has tables and chairs allowing the staff to enjoy the good weather. 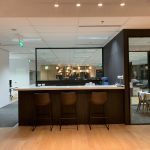 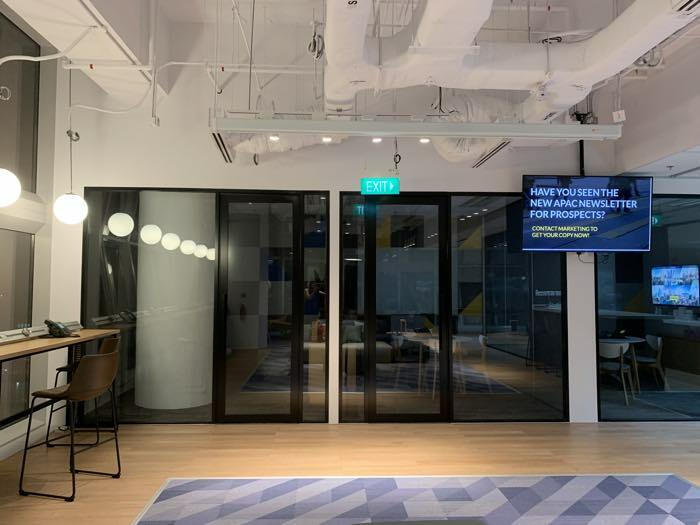 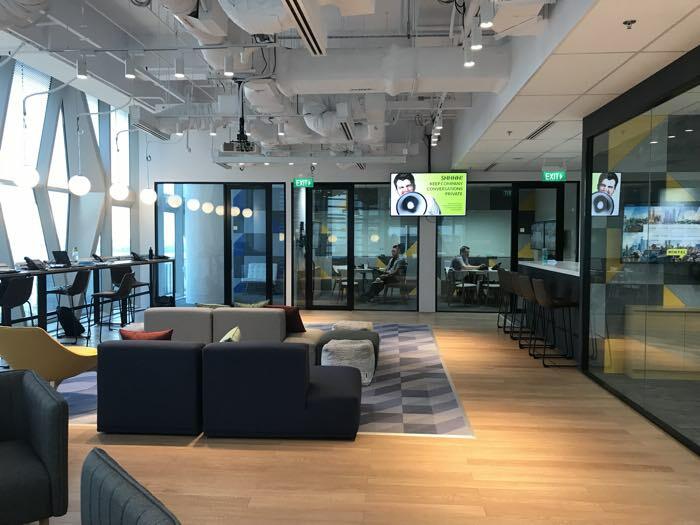 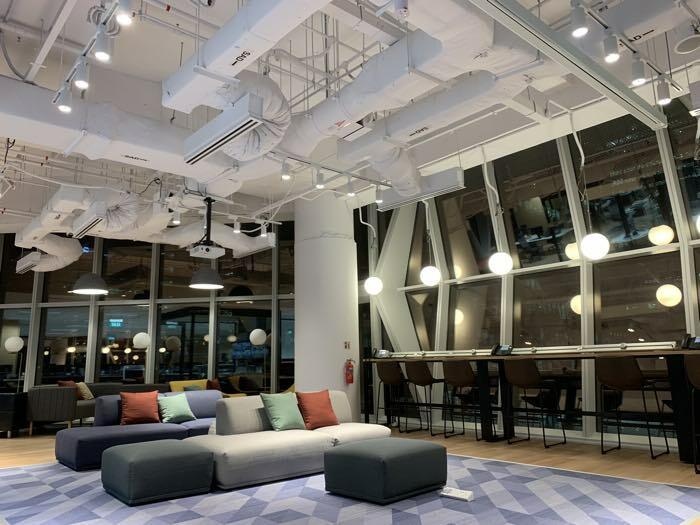 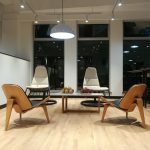 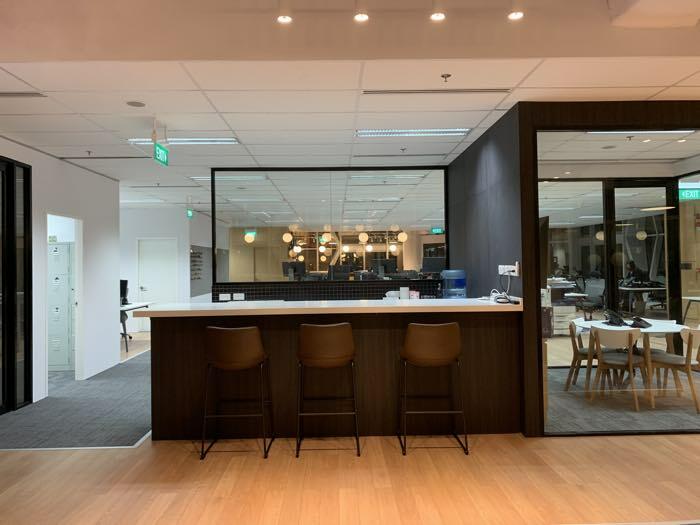 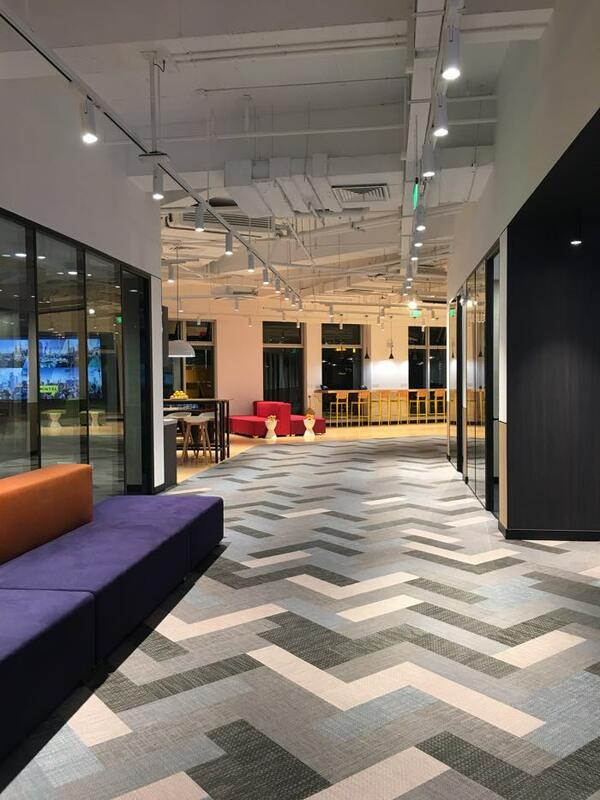 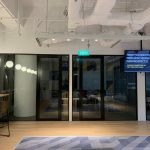 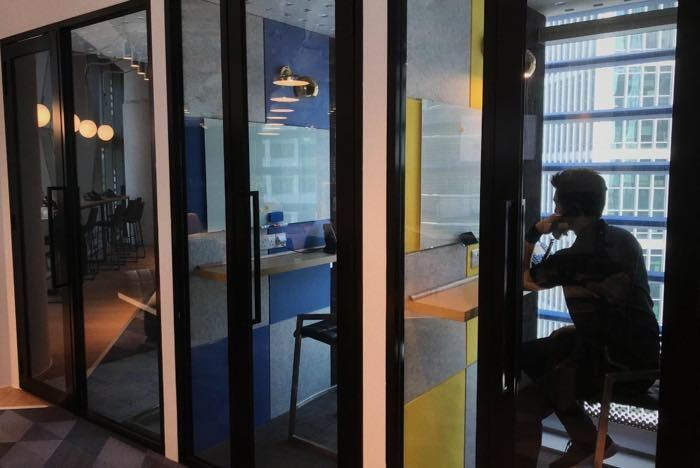 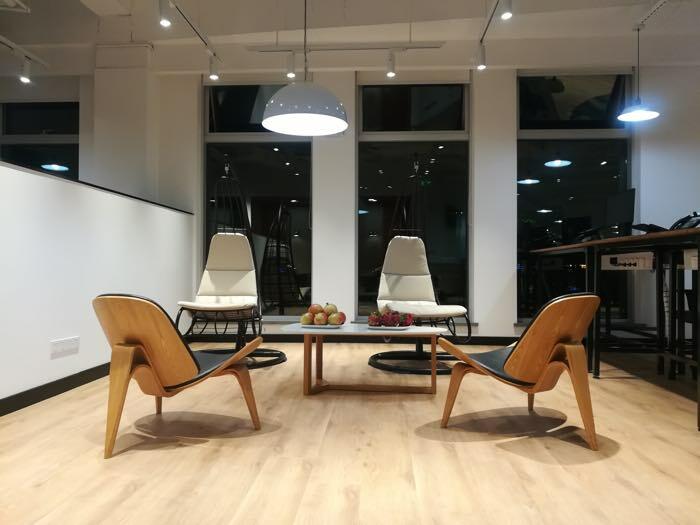 Our open office layout is based on the same hot-desking environment that the two headquartered locations have, allowing open communication with staff from different departments. 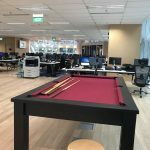 Pool and foosball tables in our breakout area give our staff the chance to unwind before and after work hours.